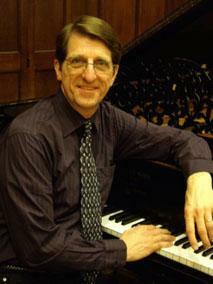 Bells of the Cascades is pleased to announce our new music director, Matthew Compton. 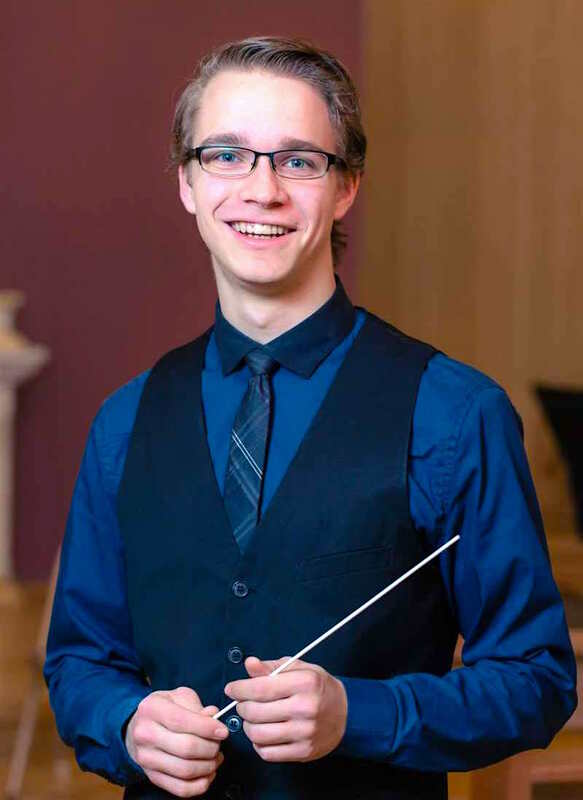 Matthew is a Colorado Springs native who has been composing, arranging, and conducting music for handbells since 2007 when he was in the eighth grade. He had his first composition published at the age of 15, making him one of the youngest ever published handbell composers. He has numerous compositions and arrangements in print or in the publishing process. Bells of the Cascades is very excited to have Matt as our new music director in 2017! Bells of the Cascades has become known as the “cruising choir” within the world of handbells, having sponsored 13 seven-day cruises during our history. Our next handbell cruise runs from July 31 to Aug. 7, 2016 — from Vancouver, BC to Alaska! 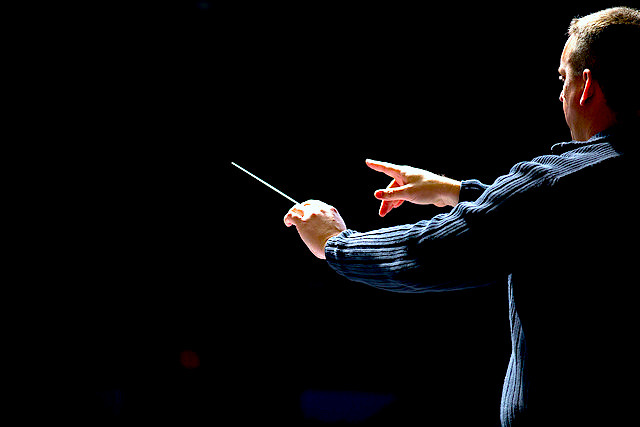 Featured clinician Fred Gramann will lead participants through exciting and innovative handbell pieces, with positions open to ringers at all levels. Meanwhile, you’ll enjoy seven days and nights on the Celebrity Infinity along the Inside Passage to the ports of Icy Straight Point, Hubbard Glacier, Juneau, and Ketchikan, Alaska. The cruise sets sail the day following the 17th International Handbell Symposium in Vancouver, so if you’re already attending that event, this is a perfect way to extend your handbell trip! 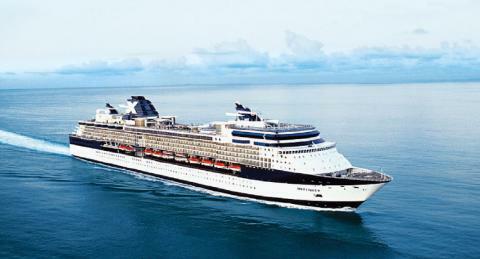 Learn more about the cruise and book now. 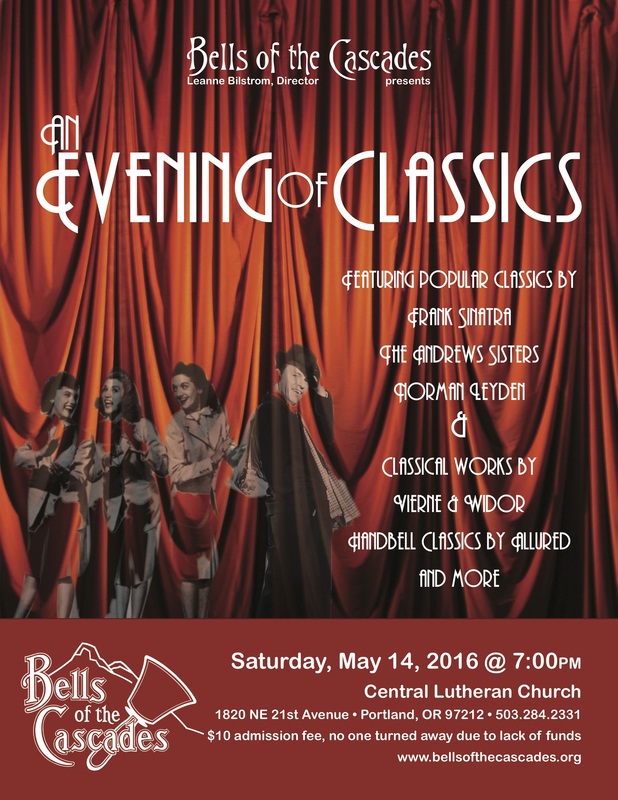 We’re pleased to announce our spring 2016 concert, “An Evening of Classics,” on May 14 in Portland. We’ll be featuring popular classics by Frank Sinatra, The Andrews Sisters, Norman Leyden; classical works by Vierne and Widor; and handbell classics by Allured and more! Leanne Bilstrom will be directing. Admission is just $10 — and no one will be turned away for lack of funds. Learn more about the concert or view this event on Facebook. We hope you can join us! We're looking for a new director. Is it you? For 25 years, Bells of the Cascades has been a pioneer in the handbell community, and we’re seeking a director who can continue that tradition. Four excellent musicians have held the position of director, and we are looking for a similarly qualified person to continue the work they have started. Involvement in Bells of the Cascades is incredibly rewarding. The sense of accomplishment we get from preparing and performing advanced level music with a high degree of musicianship is very satisfying. Read more about who we’re looking for, and information on applying to the position. Please share this information with your friends and networks who you think might be interested! Photo by Phil Roeder, Flickr Creative Commons. Read more about We're looking for a new director. Is it you? Bells of the Cascades is pleased to invite you to our annual holiday concerts, happening this year in Portland, OR, on Saturday, Dec. 19 and in Salem, OR, on Sunday, Dec. 20. 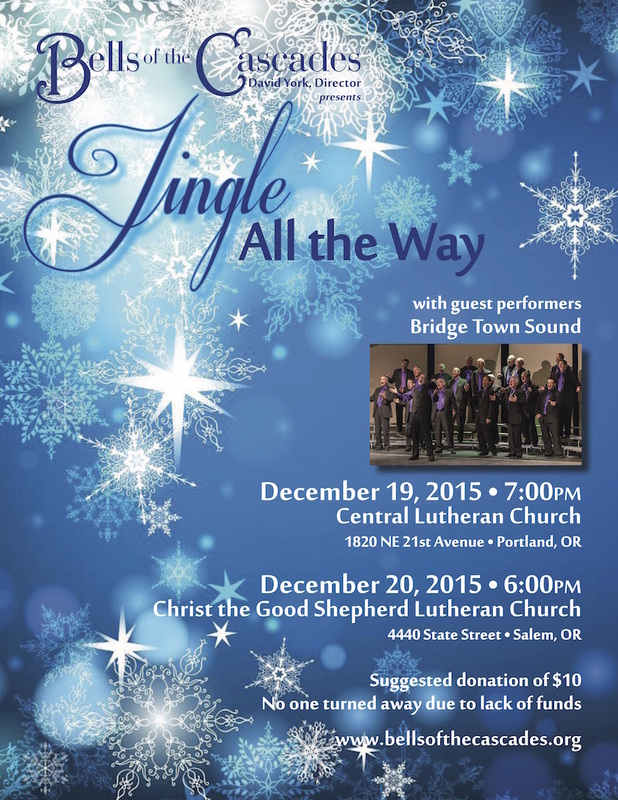 Not only will you get to experience your holiday favorites in both familiar and unusual handbell settings, but we’ll be performing alongside Bridge Town Sound, a Portland men’s chorus, on several pieces. It will be quite an evening! View the Portland event on Facebook, or get directions on this site. View the Salem event on Facebook, or get directions on this site. Admission to both concerts is $10 at the door, with no one turned away for lack of funds. We hope to see you there!